OAA testing is finally over. I hesitate to say it, but I think the kids actually did okay. I am pretty proud of them. Now to figure out what we're going to do for the rest of the year. Mark went and got his passport renewed today. One more box checked. We took Mittens to the Berea Animal Rescue on Monday. They were very nice, and I'm sure they will find her a good home once the kittens are born. 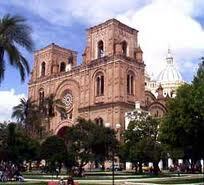 My latest worry now has been how to get Scout to Cuenca. After booking our flights on June 27th I found out that most airlines will not fly pets when the temp outside is higher than 85 degrees. So, getting her on a plane is going to be a crapshoot. I thought about finding her a good home here, but that just tears me up inside and the kids started sobbing when I brought it up. 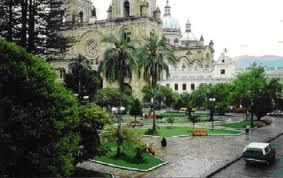 Then I thought that maybe I could find someone who might take her and foster her for us in Quito or Cuenca, and I could send her early. But someone pointed out to me that if I don't travel with her it would be a customs nightmare. Finally, someone told me that they flew on June 20th last year on LAN from Miami and their dogs flew baggage and they did fine, but they flew in the morning. Now I have to contact LAN and see if I can get a morning or an evening flight. That would solve all my problems. Still have to pray for cooler weather, but we will get her there come hell or high water. I finally got a chance to read through the homeschooling paperwork and it isn't as bad as I thought it would be. I just have to get the paperwork done and to the superintendant. We filed the paperwork needed to readopt the kids so that we can get an Ohio birth certificate for them. I think it will save us a headache having Ohio bc's instead of a Chinese and Guatemalan one. We had to go to the Justice Center on Thursday in Elyria to sign the paperwork. She is sending us our court date. I hope it is soon, like in May. What else? Nothing much, I guess, except trying to stay stress-free as much as possible throughout this process. I haven't heard back about the holter monitor, but my theory is shot because I am still having the palpitations even as I write this. I found a group list of women discussing the exact same symptoms and they called it Premature Ventricular Contractions. It is benign, but annoying and scary for the person going through it. Stress and anxiety are main causes. 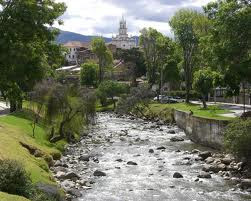 I am hoping my new life in Cuenca will be quiter and calmer and they will go away. My jaw has also been brought back into alignment with my tanner device. Thank you, Dr. B. I still struggle with it tensing up and being sore by the end of the day, but I can now close my mouth and my teeth align. That is a miracle in itself.